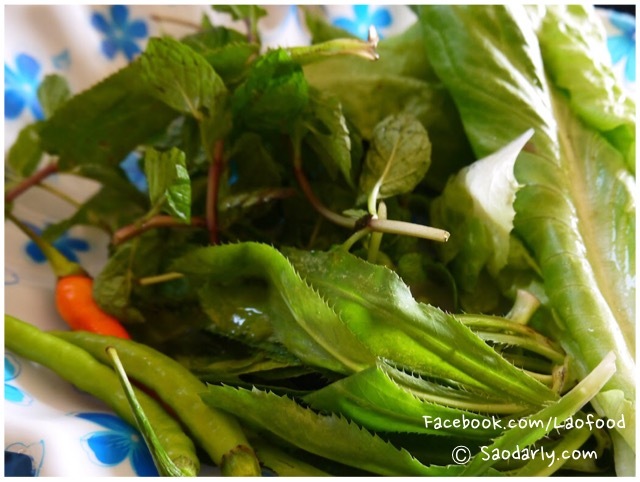 Making Larb Sien with Phea ລາບຊີ້ນງົວໃສ່ເພັ້ຍ (Laab Sien, Laab Beef, Larb Beef, Laap Beef) for dinner in Vientiane, Laos. 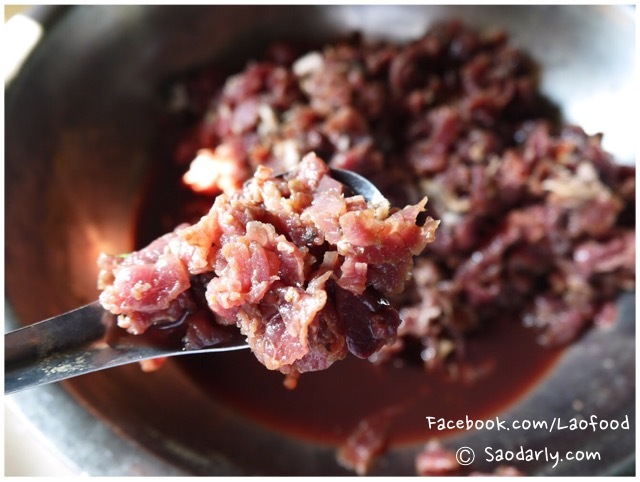 This is a raw version with Phea ເພັ້ຍ or Phia (different spelling), which is juice of the beef intestine. 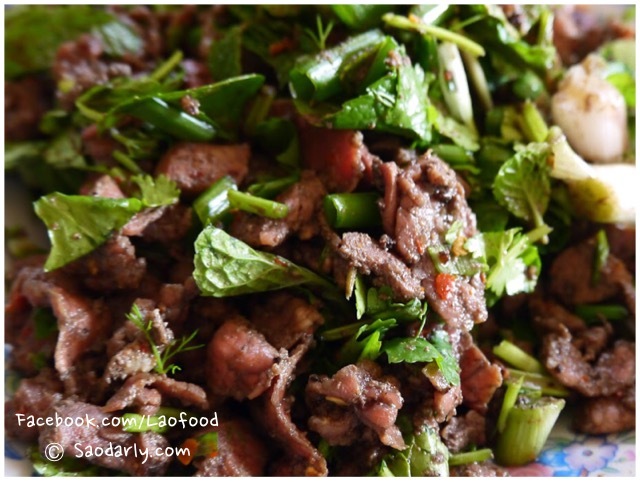 The fresh beef has been thinly sliced and marinated in the cow intestinal juice for a few hours before the mixing of the Larb (minced meat salad). 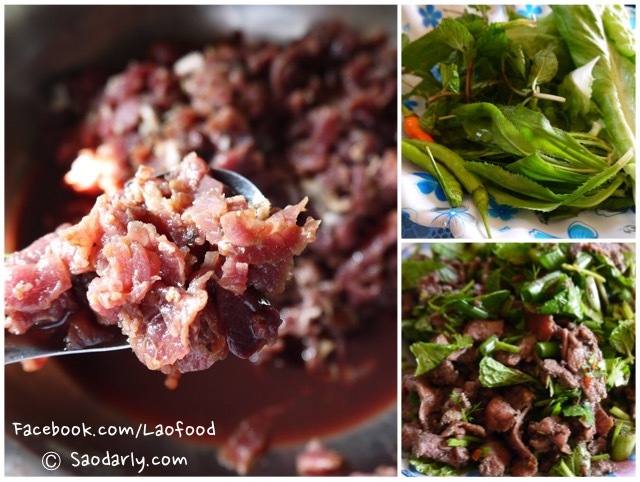 After mixing all the ingredients and seasonings together, my aunt divided the portion into two plates, one to cook in a pan for those in the family that can’t eat the raw version of the Larb Beef. The meal is completed with plenty of freshly steamed sticky rice, beef and vegetable soup, and lots of vegetables and herbs served on the side.